A very unpleasant incident has shaken the London Olympics, even before its official start. The organizers mistakenly displayed the South Korea’s flag on a screen instead of North Korea's before a women's soccer match, prompting the team to walk off the pitch. The blatant mistake occurred during player introductions before the DPRK's match against Colombia. A North Korean player was displayed along with the South Korean flag when the teams were already on the pitch. The match was delayed for more than an hour, as the North Korean side had gone into their dressing room. Only after organizers apologized for the error did the action resume. “We were angry because our players were introduced as if they were from South Korea, which may affect us very greatly as you might know,” coach Sin Ui-gun said through an interpreter after having won the game 2-0. “If this matter couldn't have been resolved, then I thought going on would be nonsense,” he added. “We will apologize to the team and the National Olympic Committee and steps will be taken to ensure this does not happen again.” - was the official comment from the Organising Committee. 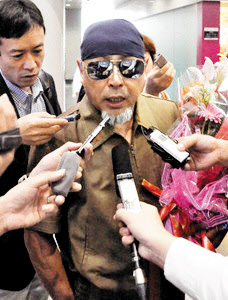 The North Korean players refused to speak to reporters after the game. Pyongyang, July 20 (KCNA) -- Pak Ui Chun, foreign minister of the DPRK, had a friendly talk with the Thai Foreign Ministry delegation led by Deputy Permanent Secretary Nuttavudh Photisaro which paid a courtesy call on him at the Mansudae Assembly Hall Friday. Huaxi village in China the future model for Kim Jong-un's DPRK? A new type of socialism may soon be embraced by North Korean leader Kim Jong-un. He may just be about to cross the river by feeling the stones, just like Chinese economic reformer Deng Xiaoping did it in 1984. For the past six months, seven North Korean officials have been staying at the Longxi International Hotel, located in the 72-story skyscraper of Huaxi Village, in China’s Jiangsu Province. It is alleged that the North Koreans are trying to learn the ways of Huaxi Village, known for being China’s richest village but one that is still dedicated to socialism. News from Pyongyang also suggests that Kim Jong-un (김정은) is getting a greater grip on North Korea’s military. After sacking his former mentor Ri Yong-ho and promoting a so far unknown military figure, many now speculate that he may be winding down his father’s “military-first” policy to start to reform the local economy. China has been pushing North Korea to take the path of a more economic openness and reform for years. Kim’s father, late leader Kim Jong-il, resolutely ignored China's advice and stuck to the “military-first” policy to keep complete control of the hermetic nation. The North Koreans visiting Huaxi may be a sign of his son’s more open attitude toward economic experimentation and a greater willingness to follow Deng Xiaoping’s opening of the Chinese economy starting in the late 1970s. Huaxi Village will probably remain the richest village in China for some time to come, and also a model of mixing socialism and capitalism. All the residents are shareholders of the local conglomerate and earn dividends at the end of every year according to its profitability. 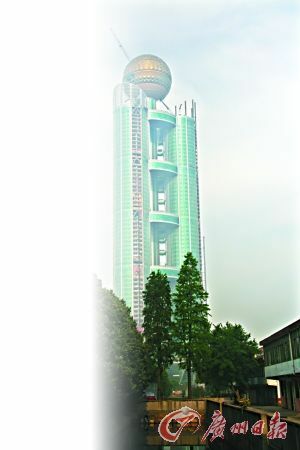 The 328-meter-high Longxi International Hotel was completed in October 2011 and cost 3 billion yuan (US$471 million). The five-star hotel has 800 rooms, including suites that go for 99,999 yuan per night. Officials from North Korea’s Foreign Ministry and the North Korean Embassy in Beijing have previously visited the village, according to one resident. He also added: "I’m not quite sure whether the women workers are from the ruling Workers’ Party, but they are mostly in their 20s." The North Korean officials have been staying in the village for six months learning how to manage a modern-style hotel - according to locals. Interestingly, all of them are women. Just what hotel they will be managing back home is up to little speculation: the Ryugyong Hotel will soon be accepting guests, and it is about time the DPRK run something that is up to international standards in all aspects. Pyongyang, July 18 (KCNA) -- A friendship delegation of the General Bureau of the Diplomatic Corps Affairs led by General Director Mun Song Mo left here Wednesday to visit China and Laos.The foreign ministry delegation of Vietnam headed by Vice Minister Ho Xuan Son and the foreign ministry delegation of Iran led by Vice-Minister Seyed Abbas Araghchi left here for home on the same day. Following the path of his late father, Kim Jong-un seems to know all too well how to do a little purging. Who else to start with than his former mentor. Military chief Ri Yong-ho, 69, was today replaced by low-profile field commander, Hyon Yong-Chol, who is believed to be in his early 60s. This latest move by Jong-un should send a signal to anyone who was still questioning who was the real boss in the DPRK. The student has grown up and turned against his former protectors. What a drama.